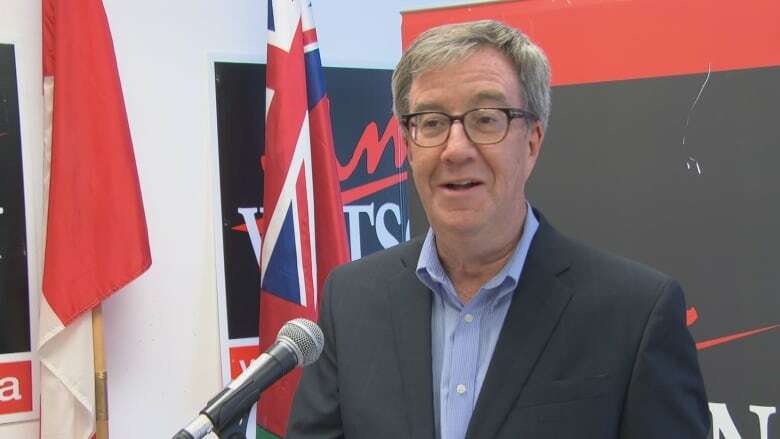 After capping annual property tax increases at 2.5 per cent in his first term and two per cent in his second term, Jim Watson is now proposing bumping the rate back up by as much as three per cent if he's re-elected mayor next week. Raising property taxes by one percentage point from 2018 will generate about $10 million in additional revenue in 2019, Watson told reporters Sunday morning. That's money the city could use to fix roads and cover unexpected costs related to cannabis legalization, he said. According to Watson, increasing the tax rate from two to three per cent would increase the average property tax bill by $36. "We have done all of the number crunching, and we believe this allows us to accomplish a couple things: to continue to bring predictability in the tax system in Ottawa, and secondly to invest in those areas where we've fallen short because of bad winters and lack of necessary funds on infrastructure," said Watson. While some voters may be disappointed to hear Watson not repeating his promise from the 2014 election campaign to keep tax increases to two per cent — indeed, a number of candidates are vowing to abide by the two per cent number — it may be a challenge for the next council to keep the increase to three per cent without changes to programming or staff. Consider that in 2014, at the start of this term of council, the rate of inflation was just under two per cent. But in June, the local rate of inflation hit 2.5 per cent, and then rose to 3.2 per cent in July and August. If that trend continues, it's unclear how an annual three-per-cent tax increase will keep up with rising costs of the city's existing programs while also providing extra services. In addition to promising to invest an extra $8 million per year the city's infrastructure, Watson has pledged to hire 75 more police officers and 56 more paramedics, which will cost at least $10 million over the next four years. He has also promised to spend about $1 million on economic development issues. The city is also expecting cannabis legalization to cost about $8 million per year for both the additional bylaw officers needed to patrol non-smoking areas and to respond to complaints, and the extra police work to shut down illegal pot shops. The province is only pledging $20 million a year for the next two years to help all Ontario municipalities pay for costs of legalization, and Watson said he worries that the city will have to absorb some of bill. The city has already hired three new bylaw officers, he added. Watson said the city can find savings to offset increasing costs, but he didn't specify what those might be. "My goal ultimately is to try to find as low a tax increase as possible," he told reporters, adding that he wanted to bring predictability to the tax system so that families can plan accordingly. Watson also dismissed the suggestion that the two-per-cent tax increase in the last four years wasn't enough to cover the costs of city's services, even though it is generally accepted that the city doesn't have enough money to keep all of its assets in good repair. Even Watson said Sunday that his promise to raise property taxes to three per cent "is a recognition that we need to speed up [infrastructure] renewal." "We've had a couple of really bad winters," Watson said. 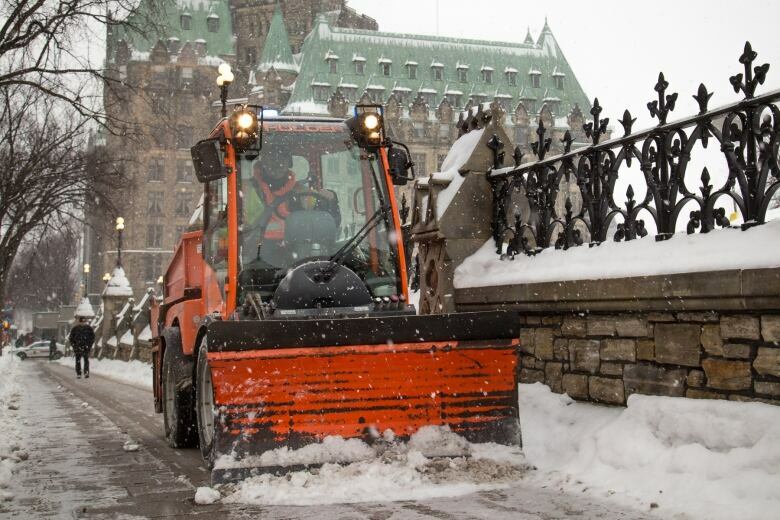 "And the condition of the roads is something that people talk to me about all the time." If the tax increase had been 2.5 per cent each of last four years instead of two per cent, the city would have an extra $26 million in its coffers by now — including about $7 million more for police. Former city councillor Clive Doucet, widely believed to be Watson's main rival, has not made a specific tax promise but has said publicly he'd like to see the property tax increase set near the rate of inflation. Watson's promise doesn't include fees for city services, although he did say he wants to see them increase no more than the rate of inflation when possible. That's not always the case, however: in the past two years, for example, arena rental rates have risen 5.6 per cent annually. And water and sewer rates are also not included in the three-per-cent pledge, as they're separate from property taxes.